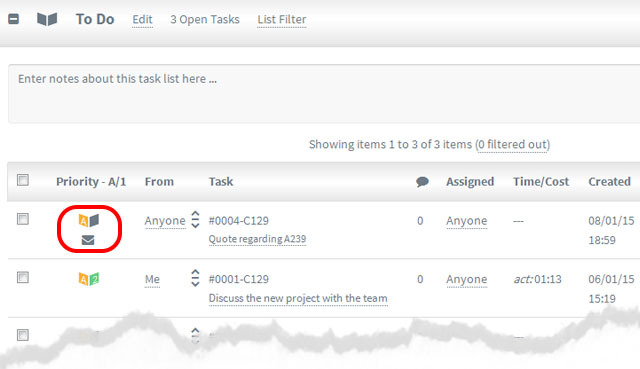 Note that regardless of how many replies go back and forth by email, in your Project / Task List view the Dmail stays as one task – ie the thread shows in one task. However in your Inbox you will see every reply as a separate email – ie standard email behaviour. It is designed this way to avoid several duplicate tasks building up in task lists – while keeping the inbox behaviour to what you are used to.